No matter what will happen, I will never tell her that I was the White Emperor and I wasn’t being possessed! Fortunately, she didn’t even doubt him. Even before he tried to find any excuse, she had poured her anger at the non existent White Emperor. Was it a white lie? No, it wasn’t a lie, because he never said “I’m not the White Emperor”, “Yun Xi’s body was possessed by the White Emperor” was just her guess and she believed it beyond a shadow of doubt. Oh, they’re smells on Yun Xi’s body! “Sniff… sniff…” she smelt his skin like a little puppy and wanted to cry. She could imagine what an amazing crime the White Emperor had made when he possessed Yun Xi’s body. Whoooa! That damned White Emperor stained my Little Xi! The ninth day after the sixth Sky Sword, Casina arrived at the Water God’s world. After the Water God’s world had been opened to the outside world for a week, finally, the diplomatic groups of other god’s domains had also arrived in this world. A lot of big shots came, and some of them were not inferior to Casina. If it wasn’t because the Water God’s world had suffered too many pains before and the people here were busy with rebuilding their homeland, these creatures’ coming would cause a huge unrest. Yes, these big shots were “creatures” but not “humans”, they were fantasy creature overlords just like Hydra. Although they didn’t choose to become a god like Hydra, instead, relying on their specific race, they could run amuck in the endless god’s domains. Yun Xi even witnessed a giant snake, whose body was half the size of the Water God’s world, slowly crawled into this world from the light bridge. The whole process took it a few hours. The giant snake’s body looked like it was wrapped around by countless rings. Every time it moved, Yun Xi had a fit of dizziness. When he took a close look, he found that the snake wasn’t crawling but floating in the air. Actually, it was moving in another dimension but not really crawling with its belly. Probably this was the reason why it could arrive at White Lotus Sword Domain from the remote Western God’s Domain so quickly. When it saw Hydra’s White Emperor avatar, the giant snake looked very happy, and its style of greeting was to swallow the White Emperor avatar in its mouth, which made him feel grateful that he was not the White Emperor who was facing the public. Fortunately, sailing jellyfishes wouldn’t be killed in this manner. After being put into the sea, these broiled sailing jellyfishes quickly reactivated and flew back to the sky. “Little Xi, remember, if you see the people who look great and sacred in the future, stay away from them! 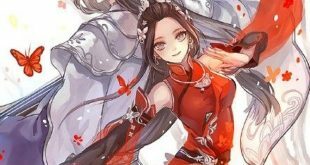 Most of them have something wrong in their minds and ordinary people should never try to get close to them!” Hua Huo pointed at the snake and the firebird and shook her head. Oh my god, if Hydra didn’t replace my identity using the White Emperor avatar, am I the person who would have to face the two fantasy creatures now? No, I can’t do it! The gap between the levels of our lives is too wide! Even if I wear the White Emperor Mask, I couldn’t stop my body from being as stiff as a stick when facing them! “Hum? Wait, something is wrong. Are they looking at us?” Hua Huo quickly stood forward and pulled Yun Xi to her back, staring at the two fantasy creatures courageously. Shouldn’t they feel jealous after seeing Hydra becoming a god? Why do they look so pleasant? “Hydra, is he your bride? He looks yummy!” The giant snake, Ouroboros licked its tongue.